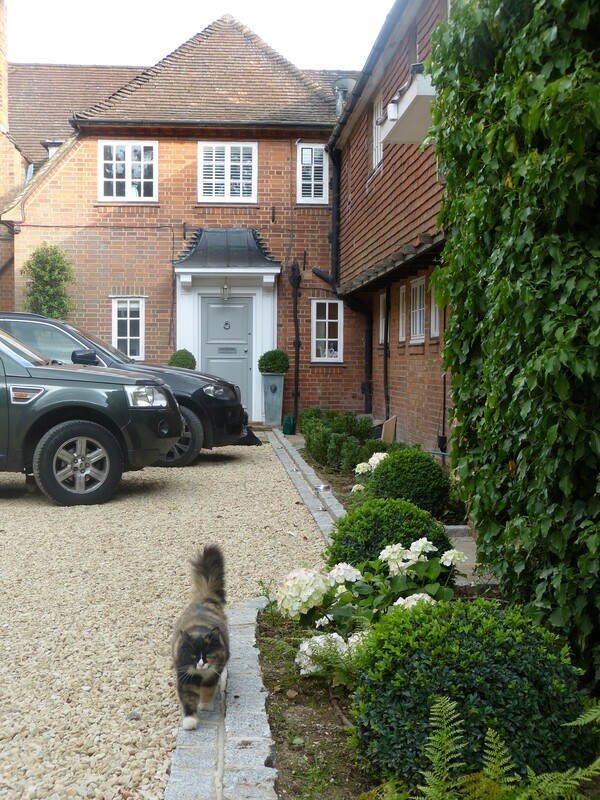 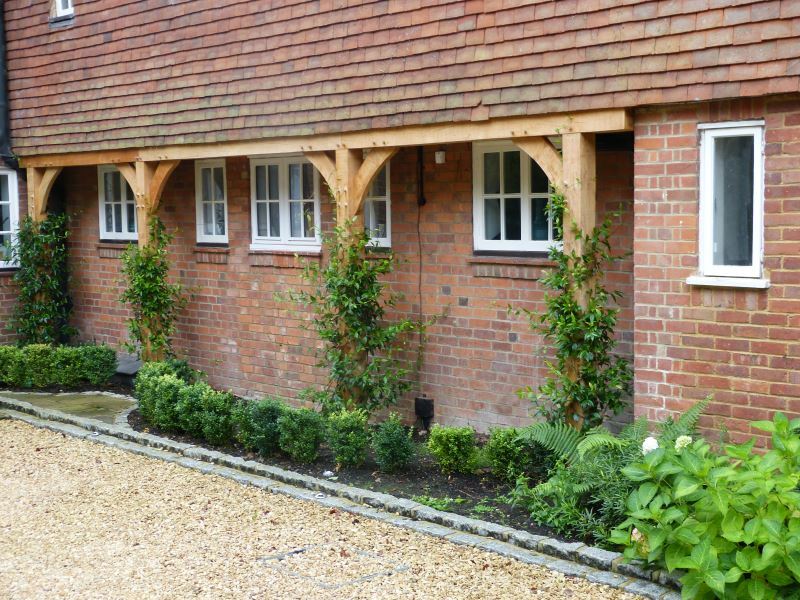 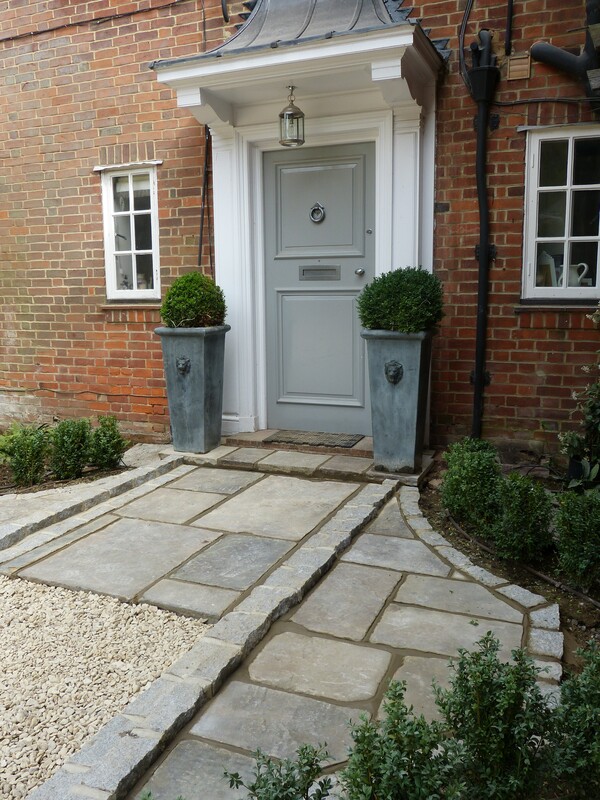 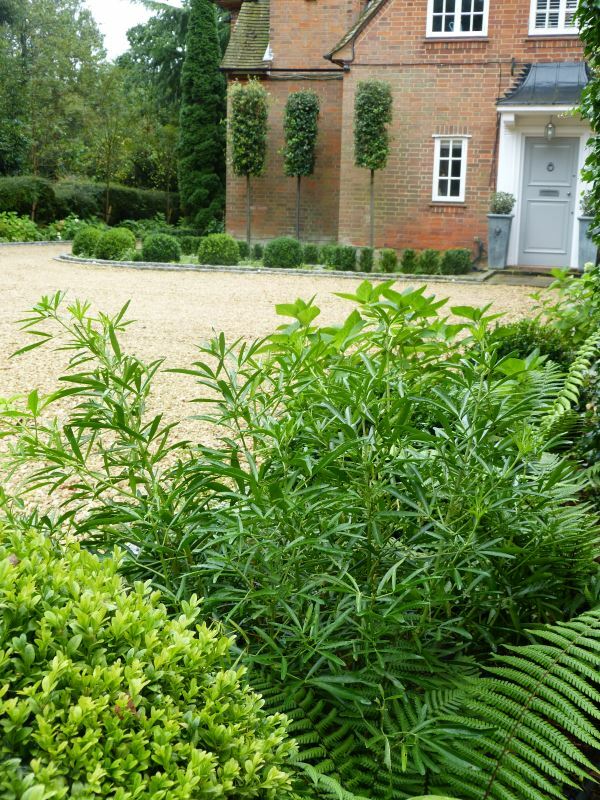 Previously a subsiding tarmac driveway with little planting, the aim was to bring some ‘garden’ into the driveway and create a clean, smart and welcoming entrance. 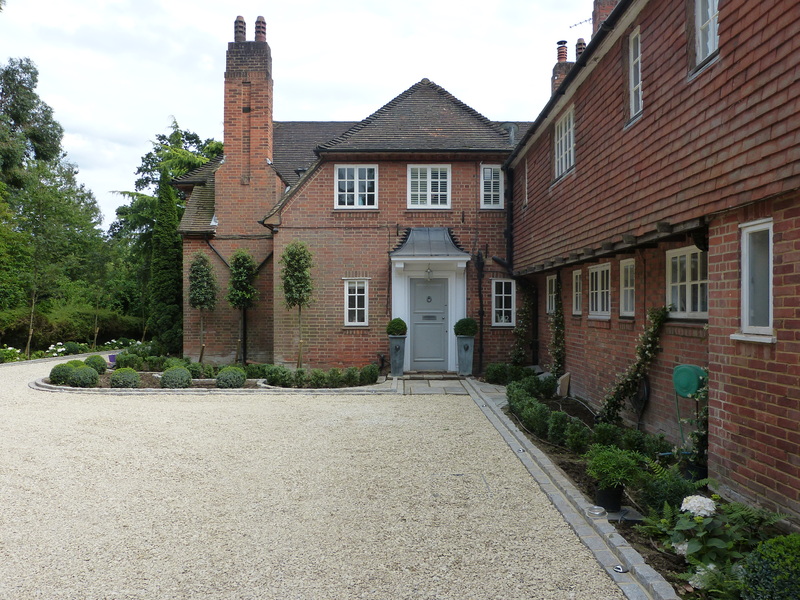 The Arts and Crafts House was complimented with granite set curves to soften the houses’ strong lines. 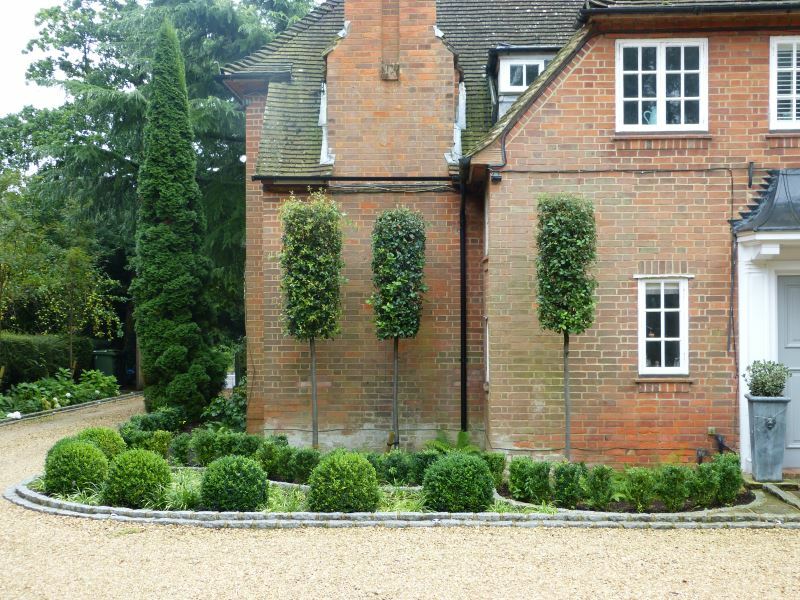 Topiary balls, clipped trees and shade loving planting suited the North facing courtyard, using white flowers to lift and add light. 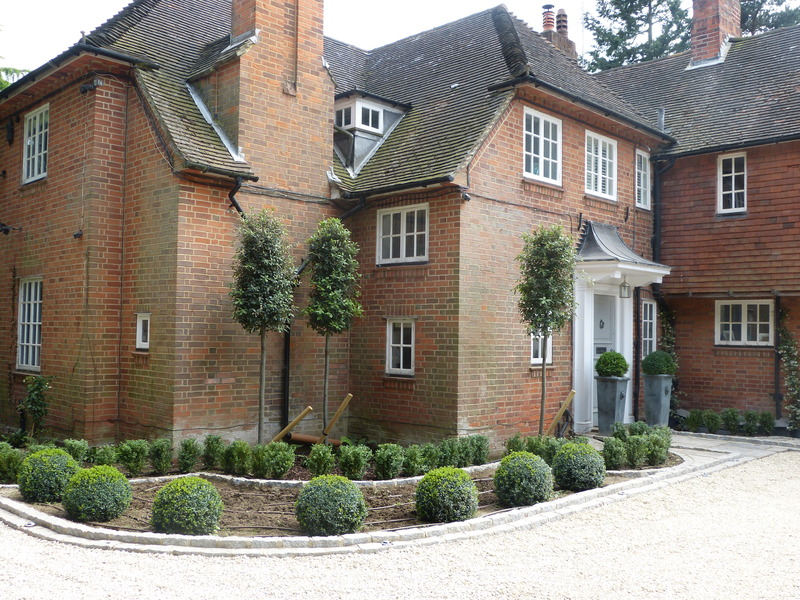 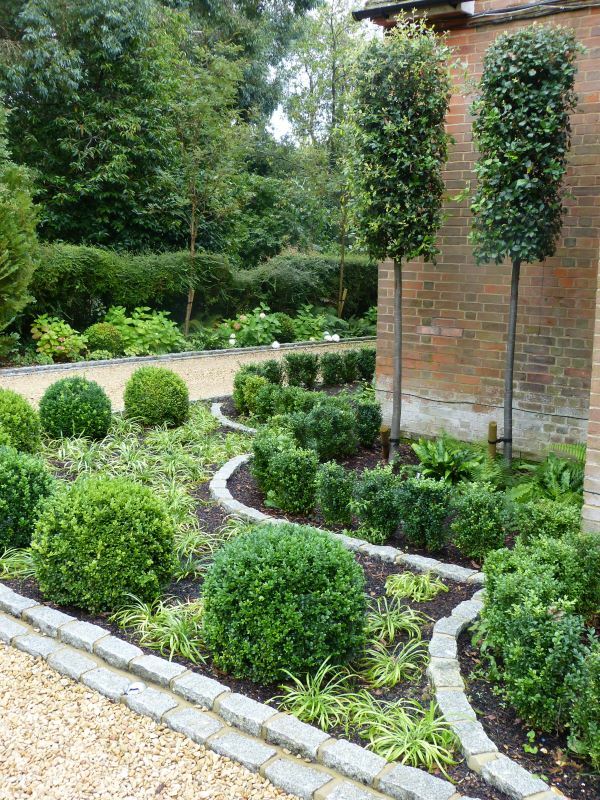 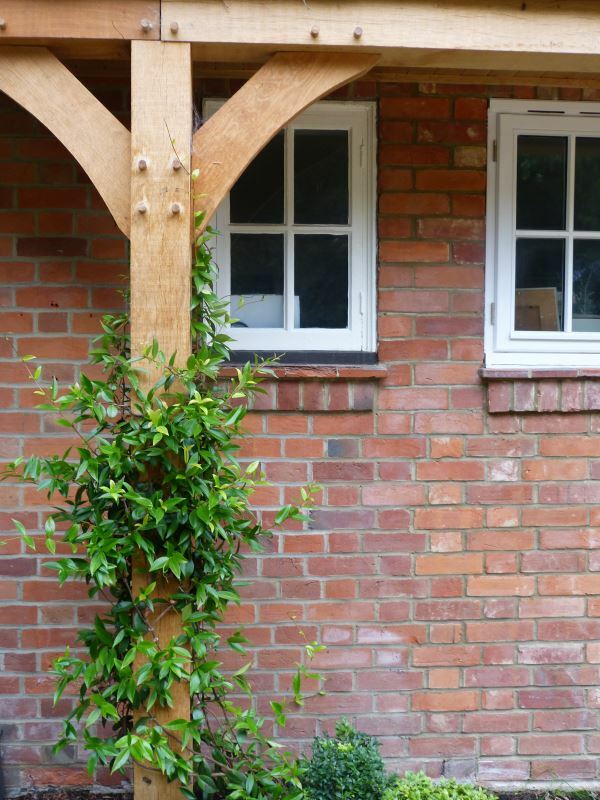 The installation of irrigation, lighting and introducing a qualified gardener was all included in the process.